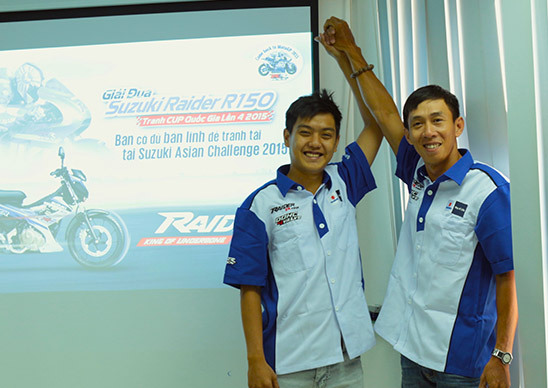 HCM CITY (VNS) — Nguyen Hoang Anh Dung will represent Viet Nam at the Suzuki Asian Challenge Motorcycling Championship 2015 in Sepang, Malaysia. It is the first time in history a Vietnamese racer will compete at an international motorcycling competition. Dung finished second behind Nguyen Quang Khai at a national tournament held in Ben Tre Province in early March. In Sepang, riders will use the Suzuli Raiser R150. The first round will be held on Sunday where Dung will compete against 16 rivals.